Do you know what to look for? If you live in an older home with wiring that hasn’t been upgraded you need to be vigilant. Be on the lookout for the following to ensure danger isn’t hiding in your wall and ceilings. Flickering lights – this may indicate faulty wiring or that a circuit breaker needs replacing. Tripping safety switches or fuses – this indicates a fault in the circuit and should be investigated further to identify the issue. Unplug every appliance on the circuit and gradually plug each item back in. When it trips again you can identify the faulty item. Occasionally the safety switch is faulty and you need us to replace it. Burning smell – if you smell a burning smell but can’t identify where it is coming from contact us to come and do a safety check. If you have any concerns surrounding the wiring of your house give us a call today on 0410375098 and we can do a safety audit. You never know what may be lurking in your walls. 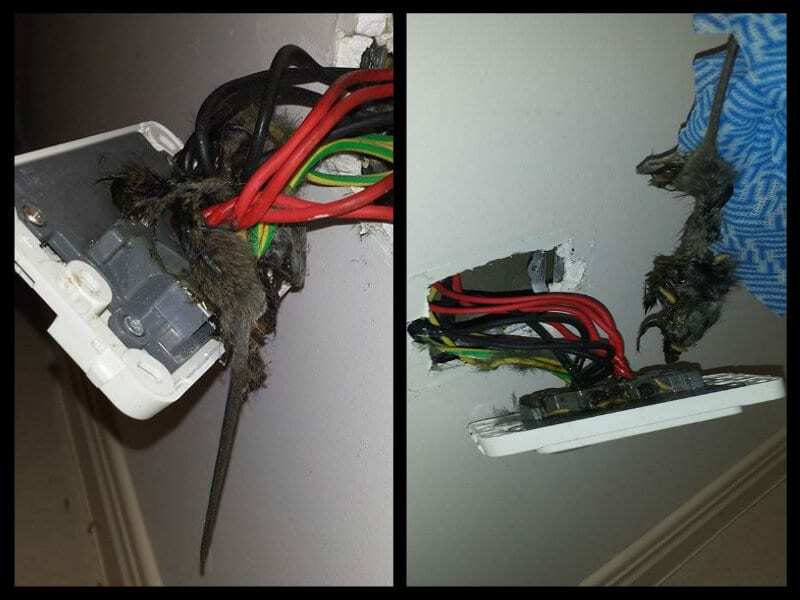 Look what we found at one customers house, a rat had created a short, leading to their safety switch tripping.